It’s been a while since I was last in Louisville. 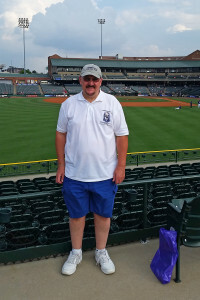 This time my timing was a little better and I was able to take in a Louisville Bats game at Louisville Slugger Field. However, being a business trip, I was unable to visit the Louisville Slugger Museum while it was open. I was able to check out The NCAA Louisville Cardinals’ Jim Patterson Stadium from the outside as well as the former site of Parkway Field.